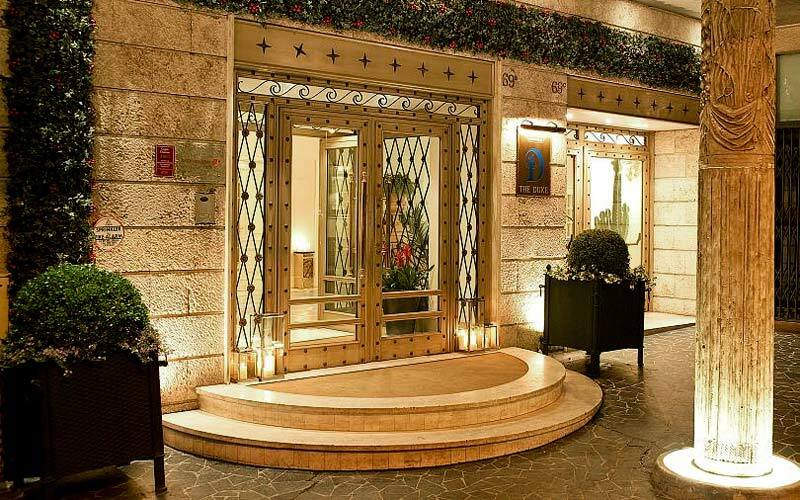 In Rome's much sought-after Parioli district, between the gardens of Villa Borghese and Villa Glori, the Duke Hotel is one of the Italian capital's most exclusive 4 stars. 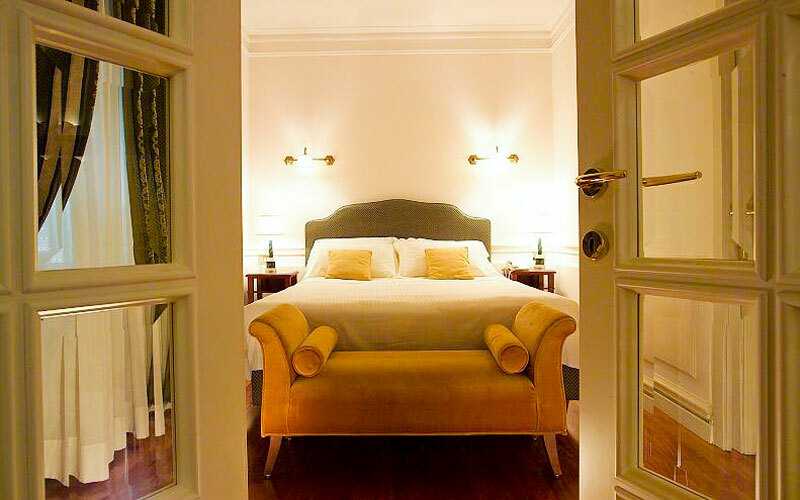 Constructed in the 1950s, in the Italian rationalist style, the hotel, with its elegant façade, large windows and flower-festooned balconies has all the air of a refined family home. 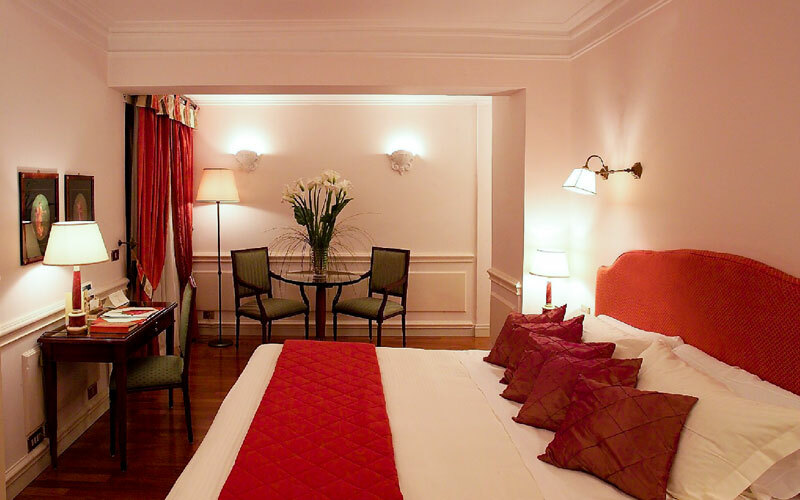 The Duke Hotel has 78 elegant bedrooms and suites offering every comfort and the very latest in-room technology. 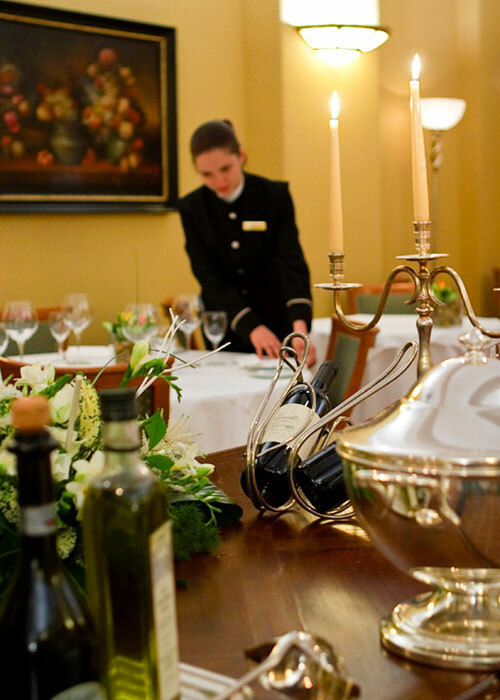 One of the finest restaurant's in Rome, the hotel's I Duchi restaurant serves excellent regional, Italian and international cuisine. Those worried about the consequences a holiday in Rome may have on their waist line will be delighted to discover just how many delicious low fat dishes there are on I Duchi's menu! 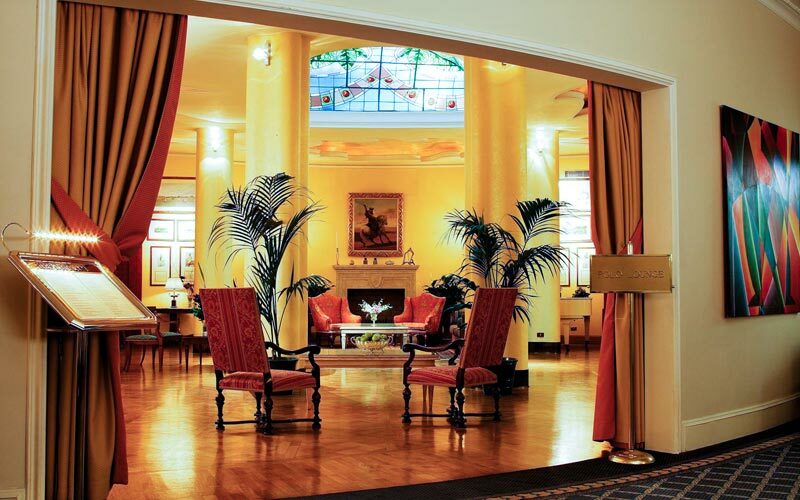 The Polo Lounge, situated in the heart of the hotel and featuring a magnificent stained glass domed ceiling, provides the perfect environment in which to relax, whether by the huge marble fireplace or on comfortable sofas upholstered in luxurious damask. This is where guests partake in the Duke Hotel's legendary English Afternoon Tea. 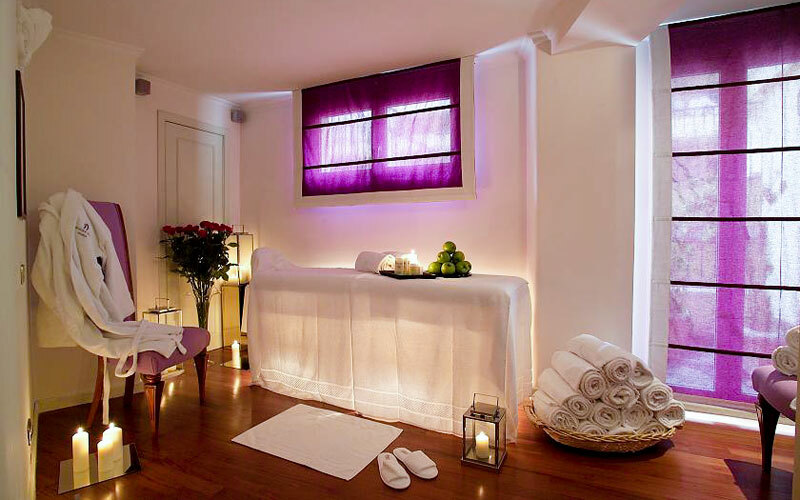 For guests wishing to indulge in spa treatments guaranteed to delight the senses, there is the Duke Hotel's Wellness Corner, managed by Paolo Caschera Beauty & Wellness. Want to do business in Rome? 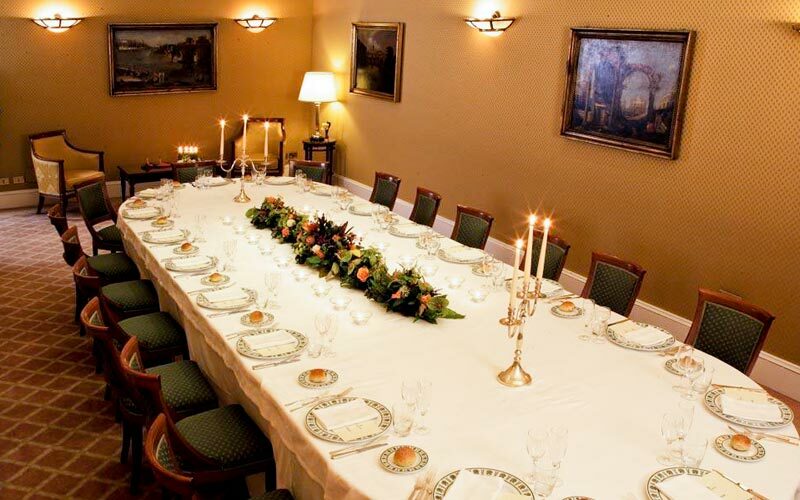 The Duke Hotel offers a range of professional meeting and conference services and well equipped function rooms. 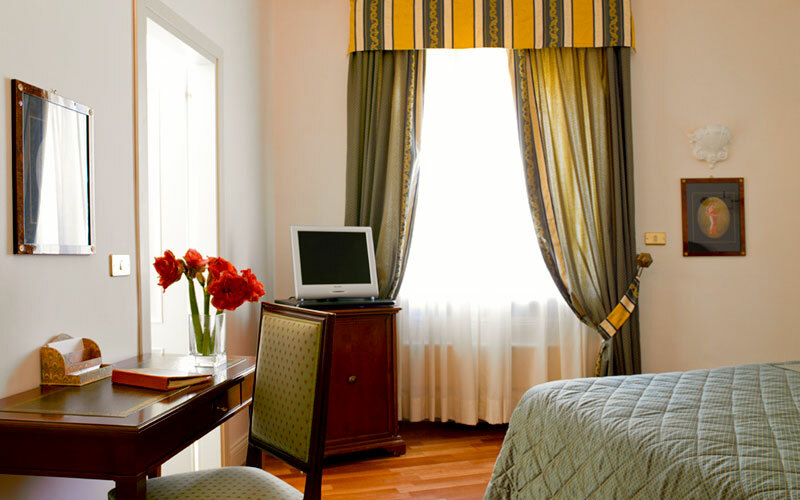 The Duke Hotel is ideally positioned, in the heart of the prestigious and elegant residential district of Parioli: just off the center of Rome between the parks of Villa Borghese and Villa Glori. The Borghese Museum inside the Villa and the Modern Art Gallery are within walking distance.